The city of San Jose should put a hold on hiring firefighters until the firefighter union accepts a lower cost, second-tier pension plan for new employees. This would achieve cost savings and keep the city on a fiscally responsible path. Doing so would allow us to dedicate more funds to hiring police officers. My prior work experience before joining the City Council was in the high tech industry, so pensions and their financial obligations were new to me. However, given that the annual property tax revenues collected by the city were not sufficient to cover the annual pension payment, it was obvious that action needed to be taken. Nearly three years ago, I initiated a pension reform ballot measure that allowed the city to establish a lower cost, second-tier pension plan for new employees. Voters passed Measure W with more than 72 percent of the vote. The city was then able to negotiate a second tier pension plan with 10 of the 11 city unions, including the police officer’s union. The firefighter’s union is the one exception. The firefighter’s union set themselves apart from the other city employee unions, and simply refused to negotiate a two-tier pension plan. In order for the city to sustain itself and provide day-to-day services to residents, a second-tier pension system for newly hired employees, including firefighters, is not only the financially responsible option, but it has become essential. Every other city employee union has realized that the only way to keep the city viable, and the existing pension system intact, is to accept a second-tier pension plan for new hires. The firefighters have shown their objection to joining fellow city employees through their unwillingness to start arbitration on the issue. The city was forced to request that a judge compel the fire union to arbitration, and, on June 17, the court ordered the fire union to arbitration pursuant to the city charter. Even with the judge’s recent decision, final implementation of any changes could take approximately one year. Filling any future vacancies with new hires on the first-tier pension plan is not only financially costly, but it is also unfair to the other city employees who have agreed to the two-tier system. Continuing to hire firefighters under the old single-tier system simply increases the unfunded pension liability that has plagued the city for years, and it impedes the city’s ability to meet its critical needs in the future, such as hiring additional police officers. Among all the proposed pension reforms, a second-tier pension plan for new employees has always had the strongest support from the public. The fire union should not be exempted. I appreciate and respect the work of all San Jose firefighters, but I have found the fire union bosses to be obstructionist in their dealings with city officials. 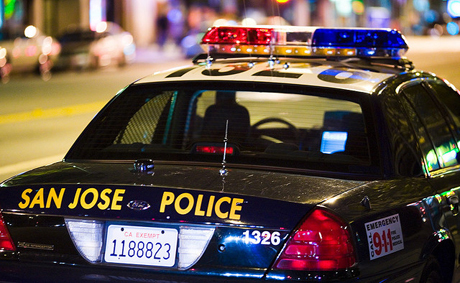 They have historically been unwilling to work towards the necessary solutions that are required, so that San Jose can have both adequate police and fire protection for residents. Negotiations between the city of San Jose and the Police Officers Association continue to be contentious. (Photo by Thomas Hawk). San Jose has no choice but to operate in the world of reasonable limits, and it can only allocate money that is actually on hand. The city should not make new promises that cannot be kept. Much has been said recently about law enforcement budgeting. A year ago, I wrote two articles suggesting a specific percentage of the budget should be allocated to police, thus allowing the police department to grow in keeping with future tax revenues and a growing population. Those previous posts can be found here and here. Since this is not the case today, I must work within the current system. One of the shared community goals is to increase the actual number of police officers. In addition, another shared community goal is for pension reform. In my opinion, these two objectives are inextricably linked. Back in 2010, I initiated, and a majority of the City Council supported, ballot Measure W. Voters in November 2010 approved Measure W by more than 72 percent. This gave us—for the first time ever in San Jose—the ability to create a new, lower cost pension plan for future employees. Since the passage of Measure W, a second-tier pension system has been implemented for all new city employees, except for fire and police. Neither the fire nor the police unions agreed to accept a new retirement plan for future employees—again, we are talking about people who do not even work here yet. The restructured, lower-cost retirement plan for new hires is fundamental to financial stability, and it allows us to add new police officers over time as savings are achieved through pension reform. When it comes to the present discussion on compensation, one option is to give all employees an ongoing raise. While an ongoing compensation increase may be ideal, there is no money to backfill it next fiscal year, which would then result in 100 percent pay cuts for some city employees—in other words, layoffs. Every 1-percent compensation increase to all city employees would cost $7.9 million per year. However, this assumes that all positions are equal in value, and are equal in terms of interest for recruitment purposes. I can guarantee that in any outcome achieved, no one will be happy since tax dollars are finite. Those who want, may not get; and those who get, may want more. Knowing this, I suggest an option for cash in hand now for those who enforce the Social Contract. This proposal would function in the following manner: Each police officer would be given the option to select a scheduled redemption of their accrued benefit of up to $15,000 over 15 months, starting in the upcoming fiscal year. The $15,000 could be derived—by employee choice—from any of three accrued sources: comp time, sick leave or vacation time. These three accrued sources currently add up to over $50 million just for police officers alone, the majority of which is sick leave at approximately $36 million. This $50 million is recorded as an accounting liability and must be paid out when someone retires or resigns. Paying a portion of this out now would reduce future payouts that would be even more costly in the future, as accrued benefits are typically earned at a lower pay scale but always paid out at the highest pay scale. This action would also enable a future council to have more money to fund city services. The $15,000 payout option would cost approximately $15.2 million if every police officer was to redeem the maximum, and would consume over half of the $22.5 million in one-time funds that are available. There is also potential to add new police officers. On Tuesday, the council will take action on a $6.9 million reimbursement from the county on property tax recalculation. This one time windfall of money should go directly to hiring new police officers if, and only if, a new retirement plan is in place for the police union. This money could be used to “hire ahead,” which would front the cost of new officers being vetted to coincide with future vacancies as current officers retire or leave. Incidentally, $6.9 million is approximately the same amount of money the city pays to subsidize golf and the Hayes Mansion each year. The fact is that each individual has their own economic situation, which may or may not include a variety of personal factors. Whatever the situation may be, it is impossible to examine each police officer’s household income and ensure that they are paid according to their needs. This option ultimately allows the individual to choose what is best. One individual may choose to redeem the maximum amount, while another may redeem half, while yet another may choose to not redeem at all, instead saving it up for a future potential payout. This option is based on individualism rather than collectivism. With this spirit in mind, we acknowledge that individuals will pursue their own happiness, and, as a result, may seek employment elsewhere or a different vocation. Arbitrator: Retired Judge or Out-of-Town Labor Lawyer? At first glance, modifying binding arbitration back in July was not my first choice over new pensions for new employees. I support the Mayor on fiscal issues, so voting in favor of Measure V and giving residents the opportunity to support this measure is consistent with my line of thinking. You can read more about the San Jose fiscal reforms measure here. In a nutshell, Measure V would put limits on outside arbitrators. During the course of the campaign I have become more and more supportive of this measure. There are two primary reasons why it is important, neither of which are getting much publicity. One, the passage of Measure V will mandate that binding arbitration for public safety unions would be held as public meetings. Public meetings that the taxpayer could attend and see how tax dollars are allocated. As it stands today, even Councilmembers that you elect are not allowed to attend these meetings. Second, Measure V would require that the current out-of-town labor lawyer acting as arbitrator be replaced with a retired judge. Most people share the belief that a judge is more fair than a lawyer. Not every judge is perfect, however, I would pick a retired judge instead of an out-of-town labor lawyer to make a final financial decision under binding arbitration. I have known many of our public safety professionals for more than 30 years. They are good people who do good work. However, the status quo of pay and benefits increasing faster then revenue actually results in less police and less firefighters for residents. The City has a legal obligation to pay pensions and does not have money left over to hire more police or firefighters. I would suggest moving forward that the critics of Measure V explain the value of how the current closed-door binding arbitration process overseen by an out-of-town labor lawyer is better than Mayor Reed’s suggestions that would control costs and let taxpayers in the room. Instead, those against Measure V are attempting to mislead the voting public by sending out materials that are incorrect and contradictory as reported in a Mercury News article on Sept. 12 and again on Oct. 22. As a side note, it was announced at the council meeting last week that the city paid out $14.6 million in accrued sick leave to retirees in July. It is a record breaking year that beat last year’s all time record of $11.7 million. Next year the potential sick leave pay out could be as high as $21 million which is equal to this years entire city wide library budget. Also expected property tax revenues next fiscal year will be approximately $194 million while payments for pensions will be approximately $250 million! Perhaps we all write “reform pensions to hire cops” on our check this year to the Tax Collector or better yet: Vote yes on Measures V & W.